We would like to invite anyone in West Michigan who enjoys good music to join the Grand Rapids Symphony Friends. It is easy and fun and your involvement will directly help support our Grand Rapids Symphony. Our group is now open to both men and women! We have many fundraisers in which to participate, ranging from one night Concerts and Showcases, to longer term projects like our Cookbooks and Show Houses. You can find information about our upcoming events under our fundraiser tab or by scrolling below to see some of the more recent events. Also very important to us is education, and the Symphony Friends have many opportunities to help with the Symphony's Education programs and events. Money donated by Symphony Friends is earmarked for use by the Education department of the Symphony. In 2018 we were able to donate $30,000 to the Grand Rapids Symphony because of hard working members and volunteers of our committee. Thank you to all! 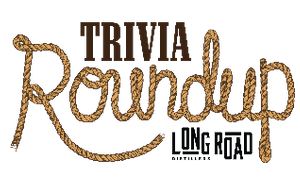 We are excited to announce our upcoming fundraiser: Trivia Roundup! This event will be at Long Road Distillers and feature a night of fun trivia, music, food, a silent auction and so much more! CLICK HERE FOR A LIST OF AUCTION ITEMS! Click here to be directed to our store page to purchase tickets via PayPal. Simply click on the option you would like to purchase: 1 ticket, 2 tickets, or the 4 ticket "team" bundle for a savings of 20%! Symphony Friends was recently featured in the GR Symphony's blog! Interested in what we do? Check out our past fundraisers! Our spring fundraiser for 2018 was a kitchen tour Saturday May 5, from 10:00-4:00. This event featured 5 beautiful kitchens in homes around Grand Rapids, as well as 1 additional outdoor kitchen. They were all recently redone or new kitchens, featuring a variety of design aesthetics. 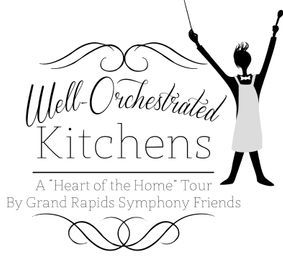 Musicians from the Grand Rapids Symphony and Youth Symphony performed and there were demonstrations in each of the locations ranging from cookie decorating to outdoor grilling to olive oil tasting! This event raised over $15,000! Thank you to everyone who attended our fundraiser at Blandford! It was a great success and we hope to have a continuing relationship with the Center. We were able to raise $15,000 to donate to the Symphony! Please click the link here to be redirected to our dedicated Blandford Enchanted page. This past June the SF put on an amazing event involving community and fun! We had over 30 community partners, over 50 Women's Committee members participate by donating funds, "stuff" for the Bazaar, or volunteering their time! We also had over 50 other volunteers and 23 Grand Rapids Symphony musicians playing! Many children from a local school came by to enjoy such activities as instrument making and painting along with music! There were local food trucks and amazing shows each night. Thank you for everyone who came to the bazaar and those who volunteered. Let us know if you have suggestions for how to make the next bazaar even more amazing! We are very happy to report that we raised over $19,000 through this event for the Grand Rapids Symphony! Click here to be directed to the Brookby Page for more info! We are very excited to report that our recent Fundraiser, A Well-Orchestrated Kitchen at the Amway Grand Plaza, raised approximately $14,000! Added to what we raised this summer with our Luxury Raffle, we are able to donate $40,000 to the Grand Rapids Symphony! We are very grateful to all that participated and donated! Click below to see some pictures from the fundraiser. Ready to join our group? We would love to have you!! Click here to find out how! Or you can donate below via PayPal. Proceeds go to the Grand Rapids Symphony's education programs! Join us at Cork at Watermark Country Club for our annual Spring Lunch Meeting.Hear music and an update on the Symphony, as well as Symphony Friends business. Please click here to see the winners of our 2018 luxury raffle! Please visit www.grsymphony.org to find out more about our fabulous Grand Rapids Symphony!